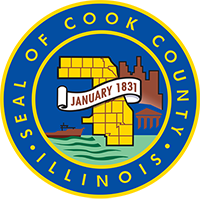 A team of experts, led by US Equities, is finalizing the extensive Real Estate Asset Strategic Realignment Plan for Cook County, IL. The report and recommendations will serve as a roadmap for the effective utilization, capital planning, and management of the County’s large real estate portfolio. Comprised of more than 18 million square feet of space, the plan provides detailed analysis of the three portfolios: health and hospital; courts and corrections; and “corporate”. TKB completed architectural analysis and recommendations for the corporate portfolio of offices and warehouses, including the prominent downtown campus made up of 118 North Clark (the County Building), 69 West Washington (the Dunne Building), and the Daley Center. TKB also developed office standards for the County based upon their needs and benchmarking of best practices. The overall report, being assembled by team member and project manager Epstein, will be an action-oriented tool for the County.